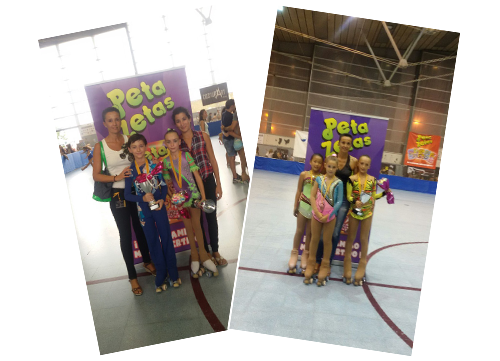 Peta Zetas® wants to congratulate all the winners in the Junior Category of the Catalonia Skating Championship 2014, celebrated in Mataró last September 19th and 20th. This edition showed a very high level among all all participants. 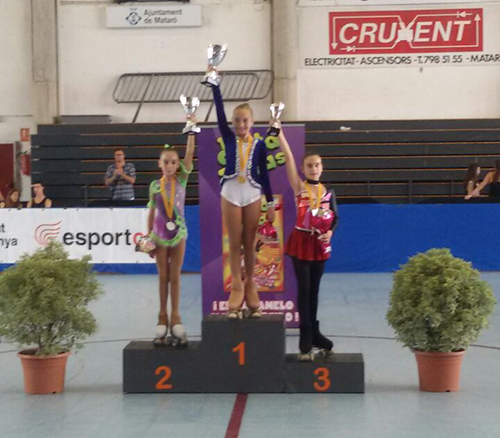 After a spectacular show, María Martínez, from the Artistic Skating Club of Mataró, achieved the first place in the Junior Female Category, followed by her club colleague Desiré González. Third place was for Claudia Aguado from Artistic Skating Club of Ripollet, all with great artistic programs. They were trained by internacional coaches like Eva Gallego and Janet Ruiz, with very good results in their professional career. 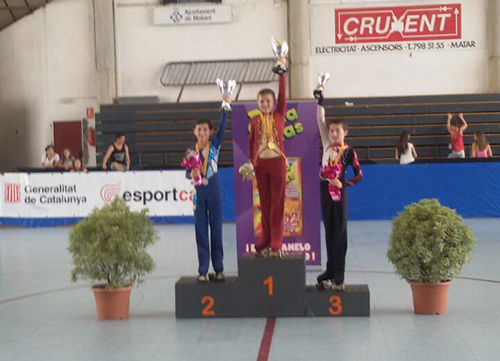 In Male Category, Aleix Bou from Artistic Skating Club of Terrassa, trained by Clemente Cerezo, achieved the first place; the second position was for Jordi Anfruns, from Artistic Skating Club of Mataró, trained by Eva Gallego and the third one was for Biel Jané from Artistic Skating Club of Cardona, trained by Joan Jané. All offered very interesting programs that provided fun and entertainment to the audience. Peta Zetas®, in its commitment with sport, encourages all the professional skaters continue working to achieve successes and have fun with their passion for sport.